Our family of six is pretty much complete, one would say. 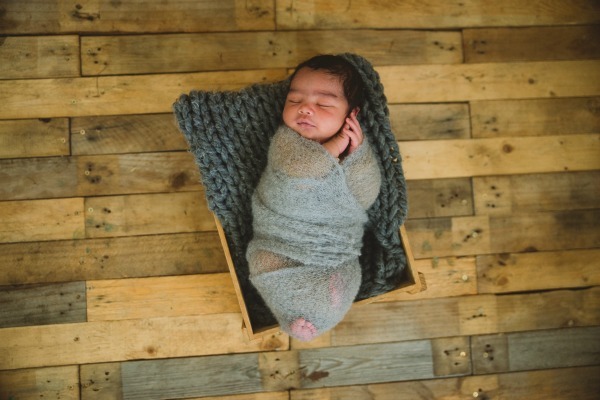 I mean, the recent addition of baby Jo came as a sweet bonus and when I held him in my arms – all soft and squishy – I immediately knew that my womb’s job here on earth was done. I had given birth to three beautiful children and was gifted the pleasure of being Seth’s step mommy. What more could I want? Well, I strangely do want more. Is it weird that I want to adopt? Is it totally loony toons that my heart does not feel as if it’s reached maximum capacity yet? I feel as if there’s another little child, somewhere out there, that needs me to be her mommy. Does that make me sound a tad bit psycho? It’s okay, we’re all friends here, you can be honest with me. Hubstopher does not share the same sentiments that I do. And I get it – having kids is pretty darn expensive! Oh and let’s not talk about how we sleep sitting up sometimes. My tired is tired. It’s no easy feat parenting four kids. But somewhere, deep down in my heart of hearts (Where is that even? Narnia?) I feel as if there’s a little girl out there that belongs to me. I know what you’re going to say… it’s hormones… I’m emotional… I’m just broody again etc. Maybe you’re right. I mean, I’ve been broody before. And although I can’t relate with someone who struggles with infertility (I’m as fertile as a turtle, you guys!) I kinda know what it feels like to want a baby so much that your heart aches. That’s how I felt right before I fell pregnant with Kari. But strangely, this time around, I’m not even contemplating housing another little one in my mommy-incubator. Like, that factory is closed, yo! Instead, the ache is a different one, it’s almost as if I’m waiting around for another little child… and I don’t even know if she’s coming. So I had a casual chat with a social worker and she confirmed everything that I already knew. Screenings are vigorous – they don’t just put a random child into a random family’s care all because you get the “feeling” that you should adopt. No lady, they need to check that you’re emotionally and mentally able to love and care for someone else’s child. Also, can you afford it? What’s your home situation like? How’s your marriage? Adopting sounds good on paper and makes for a really cool Disney movie. But the realities of it can be quite challenging. Anyways, for now, I’m content with raising the gifts that God has given me. I mean, I’m not exactly filling in adoption forms. But I just thought to find out if any of you has ever felt this way and what you’ve done about it. I actually thought we’d adopt first before having kids of our own. I had it in my head that way since I was kid. We even discussed it ON OUR FIRST DATE! And it hasn’t gone away either. This feeling of adoption.